The AOL App is one of AOL's core communication products that serves as a portal for our Loyalist's mail, news, video and search content. The app was due for a product overhaul in which we redesigned the whole experience, created microsite that clearly communicated the new features and benefits of the newly redesigned app and added a companion app on the Apple Watch. I did an app-wide audit and came up with a presentation of my recommendations for a better user and brand experience. 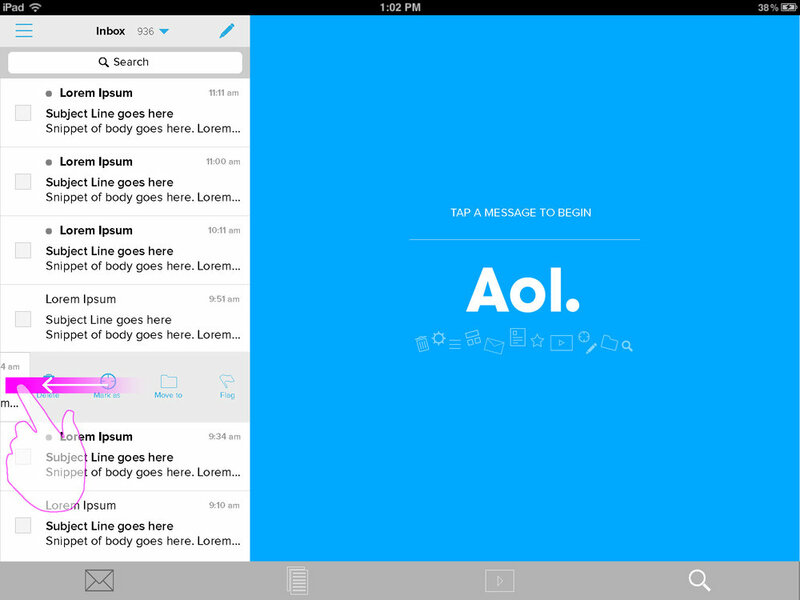 The AOL App was essentially a web view placed within an app wrapper, which didn't sit too well with Apple. My team was brought in to redesign it in a native app format. Our target demographic is AOL's legacy/loyalist users ranging from 55 and up. There were a little over 537K Monthly Active User's (MAU) when we first adopted the project. After 6 months of a new redesign and user experience, we had over 2 million MAU's and that number was increasing every month. Early on, I sketched out many variations based on research, audits, and ideas I came up with in order to tell and show a great story. 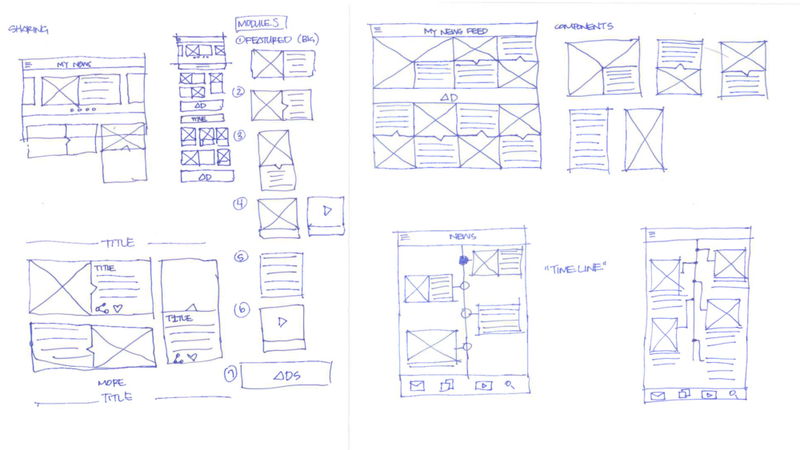 Below are examples of these along with a few that got translated into more formalized wireframes. 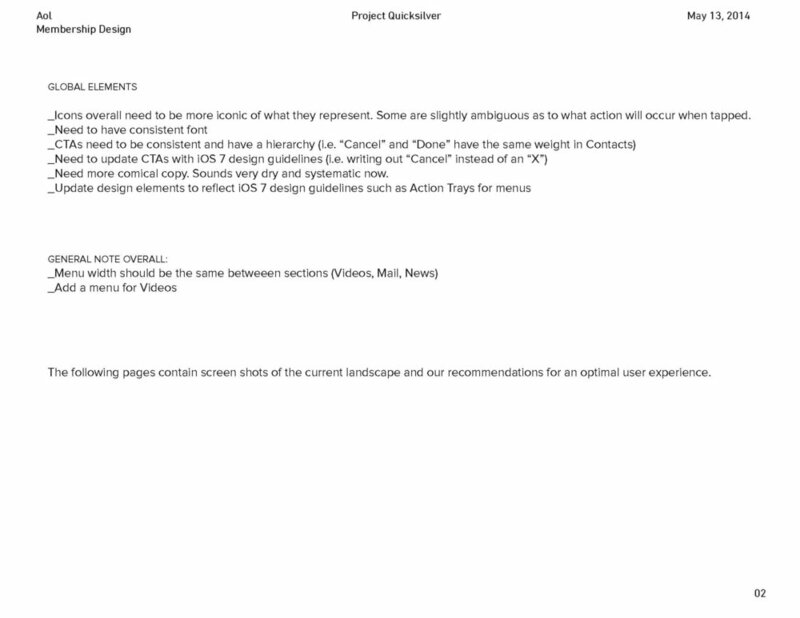 The overall idea was to create a modular grid of components that would allow a few articles to be featured and emphasized more and stand alone article and advertising blocks, which is how AOL monetized their news sections. 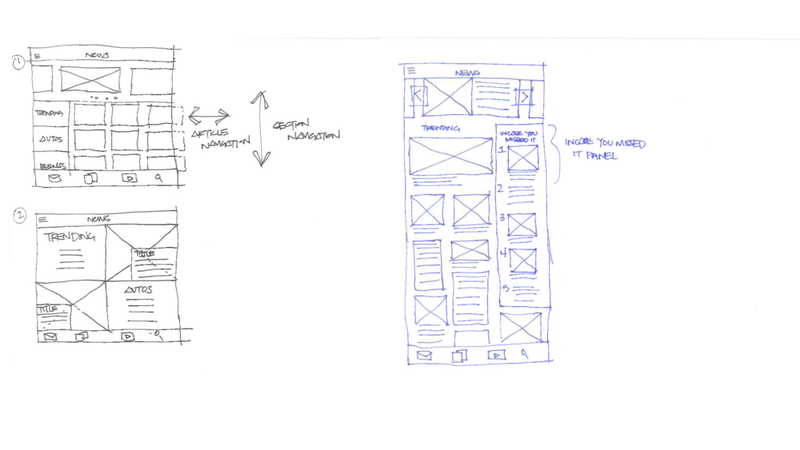 These were the more refined final wireframes that went through user testing and validation before visual design translated them into production ready comps. After we redesigned the app, we launched a microsite to announce to the public the upgrade. I led the UX for the site and delivered wires that were translated into the visuals below done by Wii Yatani. We then worked closely with a Creative Technologist, Wagner de Paula, to get it built and the interactions intended up to par. The AOL App microsite is a 2015 Webby Honoree for Mobile Sites and Apps / News. Created user flows that an internal employee would go through to be able to download the Beta version of the app before we launched publicly. They would get an email to download Testflight and from there go through the flow to download the app. With an increase in monthly and daily UV's, we decided to add a bit of innovation with a companion app on the Apple Watch. We wanted the experience to mimic the app as much as possible, while maintaining a lightweight look and feel for our Users to ease them into this new experience. We included powerful features such as: Quick Reply (canned responses) from a message read, message triage from the message list, and Breaking News push notifications. Final Visual Designs created by Brian Skuse. 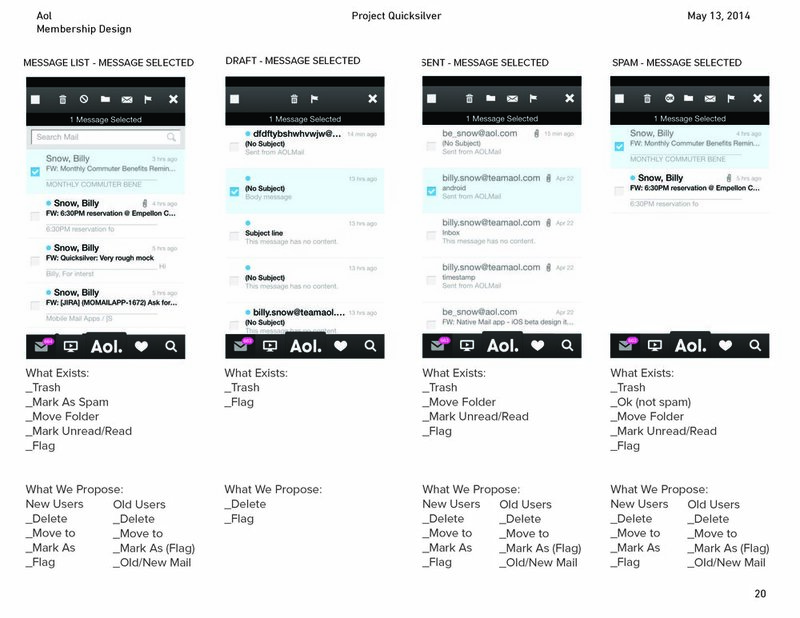 Get your mail as soon as it hits your inbox with the FREE AOL app. Video done by Wii Yatani.